Honey bees are an endangered species now because of human beings, and honey bees are a critical key to our survival. So, if bees are endangered, WE ARE ENDANGERED. Here is an excellent article from Waking Times by April McCarthy that you can share. It is clear that European countries, and just about every other country in the world except for the USA, are making positive strides to help our natural ecosystem survive extinction from farm and lawn chemicals that are mass marketed by big corporations like Monsanto. EU commissioners, Capitol Hill and international agencies are finally taking notice to mass bee deaths around the world. A few months after the groundbreaking decision to suspend the use of three neonicotinoids shown to be highly toxic to bees, the European Commission is moving forward again with a proposal to restrict the use of the insecticide fipronil, which has also been identified as posing an acute risk to honey bees. America’s imperiled pollinators will also soon receive long overdue protection after a new bill passes aimed to suspend neonicotinoids, a class of systemic pesticides that are killing bees. Simple, straightforward and commonsense protections have not been updated for more than 20 years. In February 2013, Beyond Pesticides joined with a coalition of environmental and farmworker organizations to submit a letter to the Environmental Protection Agency (EPA), urging the agency implement these long overdue revisions to the Worker Protection Standard (WPS) of the Federal Insecticide, Fungicide and Rodenticide Act (FIFRA). An estimated 5.1 billion pounds of pesticides are applied to crops annually in the United States, and farmworkers face the greatest threat from these chemicals than any other sector of society, with thousands of farmworkers each year experiencing pesticide poisoning. The federal government estimates that there are 10,000-20,000 acute pesticide poisonings among workers in the agricultural industry annually, a figure that likely understates the actual number of acute poisonings since many affected farmworkers may not seek care from a physician. As a result of cumulative long-term exposures, they and their children, who often times also work on the farm or live nearby, are at risk of developing serious chronic health problems such as cancer, neurological impairments and Parkinson’s disease. Children, according to a recent American Academy of Pediatrics (AAP) report, face even greater health risks compared to adults when exposed to pesticides. The United States is lagging behind our European neighbors when it comes to the protection of pollinator health. Earlier this year, the EU announced a two-year suspension on these bee-killing pesticides. Now it’s time for the U.S. to act. 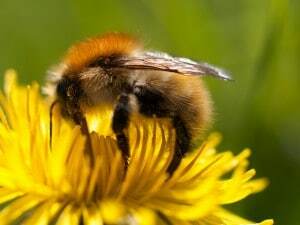 A European Food Safety Authority (EFSA) scientific risk assessment, published on May 27, 2013, found that seeds treated with pesticides containing fipronil pose an acute risk to Europe’s honey bee population. According to this assessment, it was found that fipronil poses a high acute risk to honeybees when used as a seed treatment for corn. Specifically, EFSA concluded that high acute risk from dust drift resulting from treated corn exists, and identified several data gaps and study limitations for other field crops. Data on nectar and pollen could not be evaluated. 23 Member States supported the fipronil restriction, 2 Member States voted against and 3 Member States abstained during the standing committee vote. This latest EU-wide restriction comes in the wake of a recent Commission decision to restrict the use of three pesticides that belong to the neonicotinoid family — imidacloprid, clothianidin and thiamethoxam, which will come into force on December 1, 2013 as well as a guidance document on a risk assessment of plant protection products on bees published by EFSA on July 12, 2013. The treatment of maize and sunflower seeds will no longer be authorized. According to Beyond Pesticides’ BEE Protective campaign, outside the neonicotinoid class of insecticides, fipronil has been heavily implicated in elevated bee toxicity and decline. The chemical is widely used for indoor and turf pest control in the U.S., and is a generation of insecticide that is highly toxic. Fipronil has been shown to reduce behavioral function and learning performances in honeybees. One 2011 French study reported that newly emerged honey bees exposed to low doses of fipronil and thiacloprid succumbed more readily to the parasite Nosema ceranaecompared to healthy bees, supporting the hypothesis that the synergistic combination of parasitic infection and high pesticide exposures in beehives may contribute to colony decline. An extensive overview of the major studies showing the effects of pesticides on pollinator health can be found on Beyond Pesticides’ What the Science Show webpage. So what is the U.S. doing? The Save America’s Pollinators Act will suspend the use of neonicotinoid pesticides until a full review of scientific evidence and a field study demonstrates no harmful impacts to pollinators.